Stone's Guide Service offers 8 hour (full-day trips), 6 hour (3/4 day) trips and 4 hour (half-day) trips to individuals, families, groups, corporate trips and professional anglers. 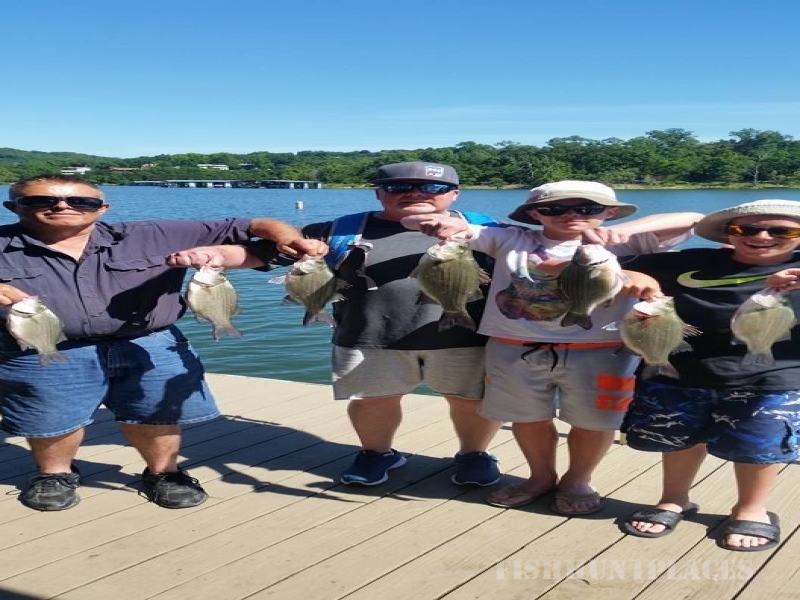 Your trip will be tailored to the type of fish you looking to catch, and to your skill level, whether you're a beginner or seasoned professional. Phillip will share his experiences and teach you his winning techniques. The guided trip will be from a fully rigged 2013 Legend Bass Boat with your comfort, satisfaction safety, and catching lots of fish being the highest priority! Have a larger group? No worries! Phil can comfortably accommodate up to 5 people on his boat! And if your group is even larger, Phil will add additional boats and guides to the trip. Largemouth Bass: The best times for bass are from early spring to late fall and can be caught on a variety of shallow water lures. Bass tend to suspend over open water through the summer and winter months.variety of shallow water lures. Bass tend to suspend over open water through the summer and winter months. ﻿Rainbow Trout: Fishing is good year found. The best baits are power bait, small jigs and flys. 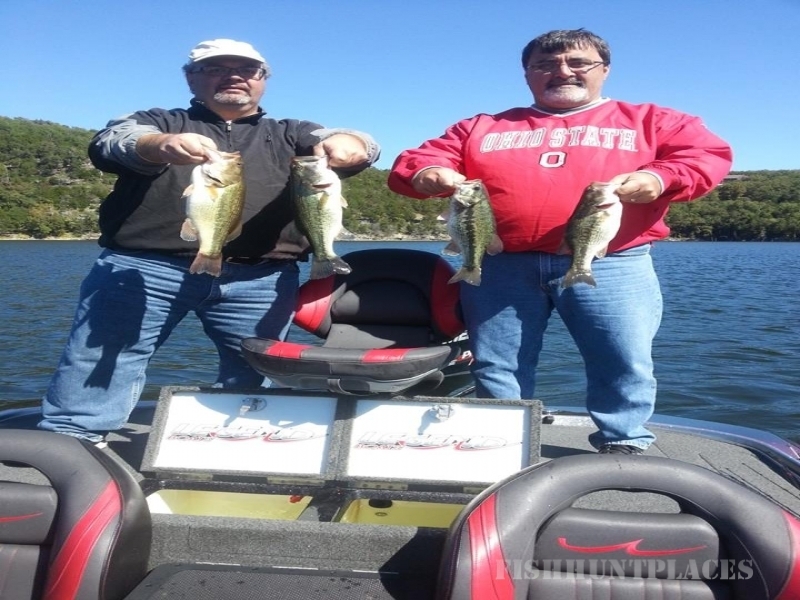 ​Bull Shoals Lake boasts catching largemouth bass, crappie, smallmouth bass, white bass, blue gill, catfish, walleye and occasional striped bass. Bass: The best times for bass are late winter to fall. They can be found shallow in the spring on jerkbaits, crankbaits and jigs. Bass tend to move deeper in the summer months and can be caught on jigs in deeper brush piles. 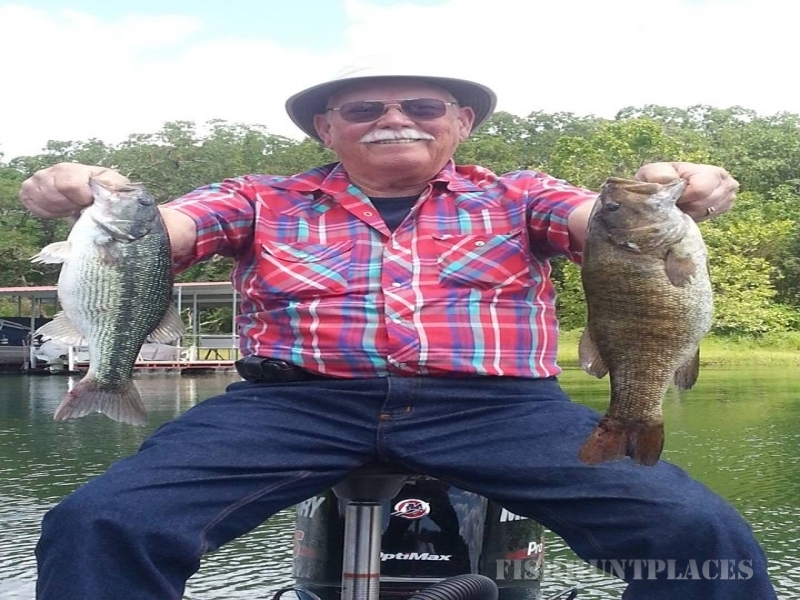 Crappie: The best times for Crappie are in the spring and fall. Best baits are small minnow imitating lures around brush piles or standing timber. Walleye: Your best times for Walleye are winter thgouth early summer using jigging spoons, jerkbaits or live nightcrawlers.